BOLAND SPITBRAAI / BRAAIWORLD started in 2000, by doing a Spitbraai for a friends 30th birthday. Word-of-mouth has grown us ever since into a business. We cater for any size function within a radius of 150 km from Paarl in the Western Cape. We operate from Paarl, in the whole Western Cape, and have been responsible for providing a Great Spitbraai in areas such as the BOLAND, NORTHERN & SOUTHERN suburbs of Cape Town as well as the HELDERBERG and CAPE WINELANDS. 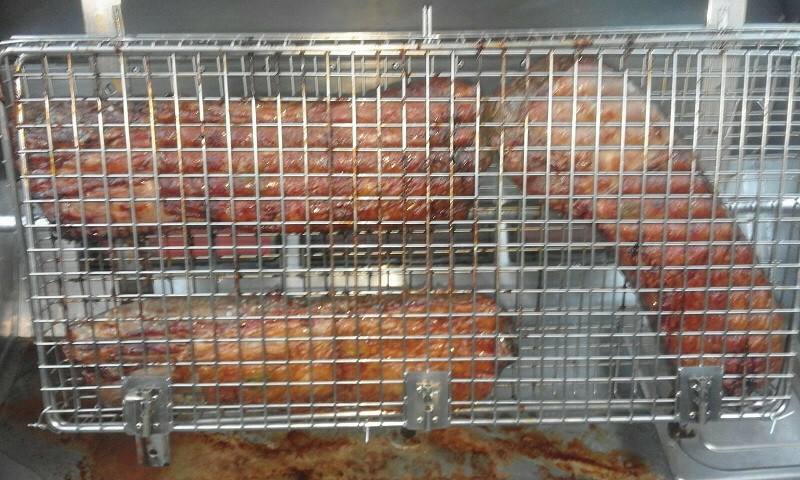 We bring our GREAT service and AWESOME Spitbraai to Worcester, Rawsonville, Grabouw, Paarl, Wellington, Durbanville, Kraaifontein, Brackenfell, Bellville, Parow, Stellenbosch, Strand, Somerset West, Gordons Bay, Cape Town, Constantia, Fish Hoek, Kommetjie and any town around these suburbs. Our business thrives on our passion, a love for people and a joy for GREAT Food. Being a family owned business we treat our clients as we would treat our own family. 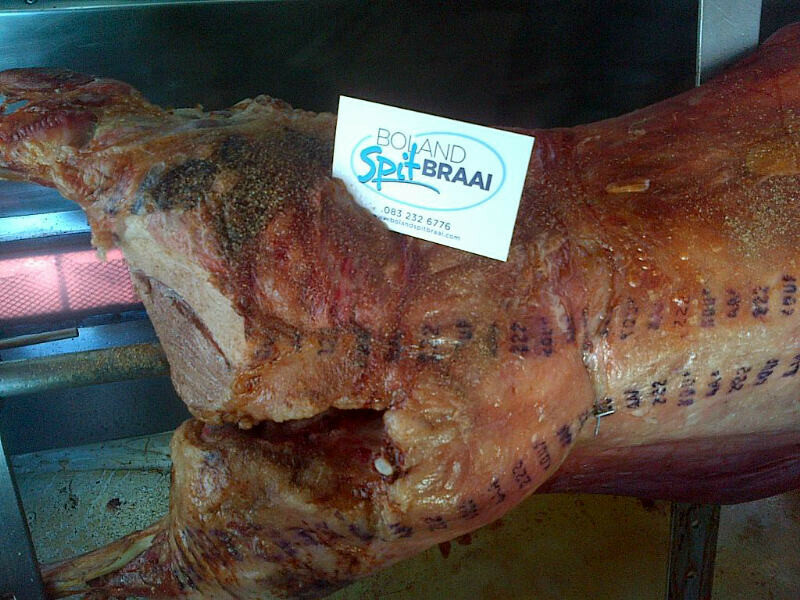 Boland Spitbraai offers a full spit braai catering service to corporate companies and private home functions. No party is to big or to small for us to handle. We have dealt with big corporate companies and have successfully catered for management team building and year-end staff parties of up to 2000 people. 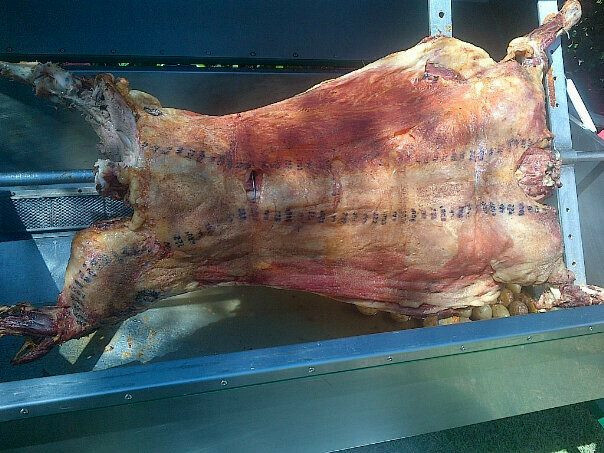 Our Spitbraai specialty is Lamb. Our customers value the fact that we only use the best quality lean A2 grade Lamb, SA Beef and Lean Pork. There is just no excuse for substandard meat or food that is not freshly prepared. Our Beef Spit and Steak Braai will bring the steakhouse feeling to your home. We are NOT HALAAL REGISTERED and can therefore only accommodate Muslim clients by serving a Lamb from a Halaal certified abattoir. 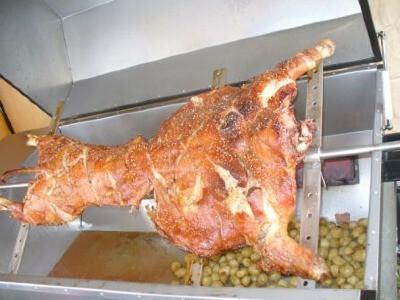 We at BOLAND SPITBRAAI will never compromise QUALITY and QUANTITY, just to offer a cheaper price than our competitors. Our business believes in going the extra mile to deliver Service, Quality and Freshness. You will not get a fresher product anywhere else. 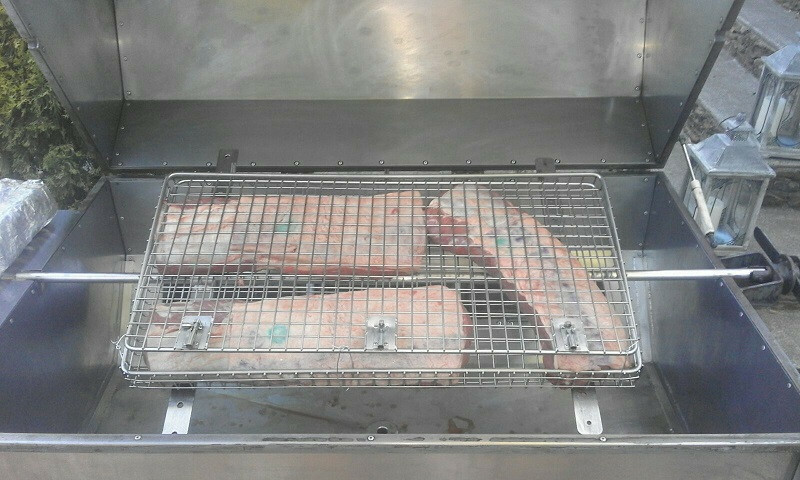 We prepare our meat at your premises within an enclosed gas braai machine. This machine is completely sealed and can even be put in your sitting room on your best carpet. We arrive 3-4 hours before serving time and stay for another 1 to 2 hours until everyone has eaten. 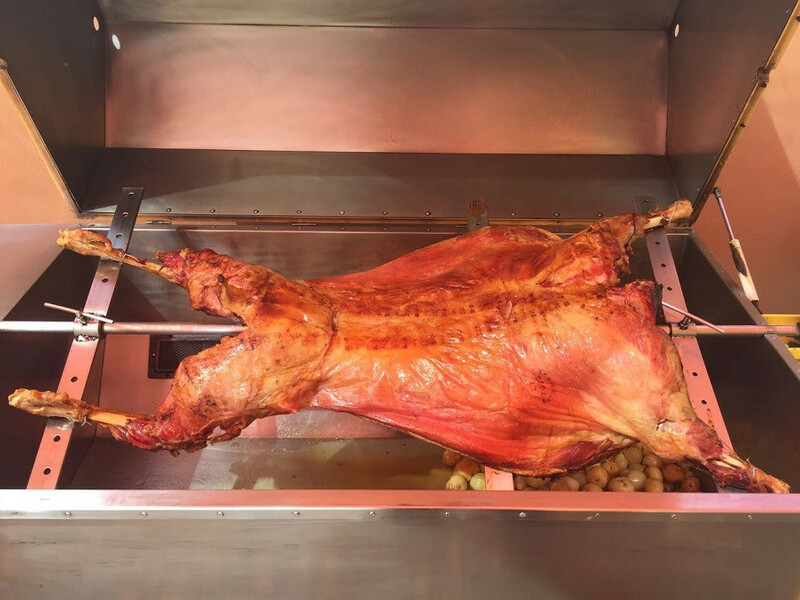 We strongly believe that you can only get the true South African Spitbraai experience when we do a whole or half a Lamb on the spit. 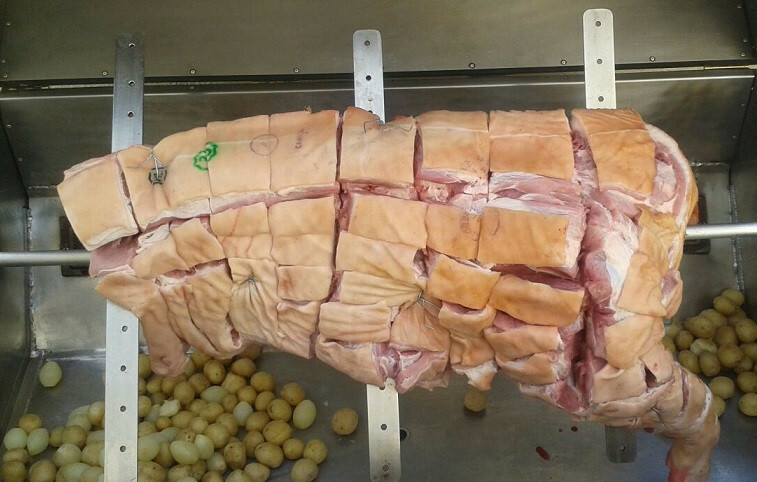 For a PIG SPIT BRAAI, we make a big effort in sourcing the correct quality and standard. We will always ensure you get the full crackling experience. Too BEEF things up we do whole sirloins in the spit. 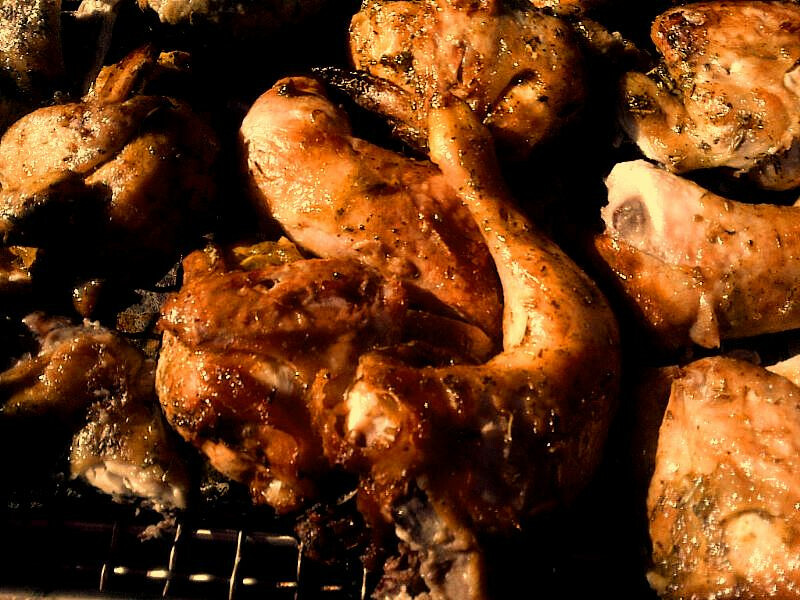 of a traditional South African braai experience. We promise to quote the best price and we will match and beat any written quotation. For larger group functions - WE WILL GIVE DISCOUNT !! Sit back and enjoy our delicious SPITBRAAI ! Our Vision is to deliver a Tasty and Budget friendly catering solution. Our Mission is to offer everyone the best solution for their Party. BOLAND SPITBRAAI is all about SERVICE ! 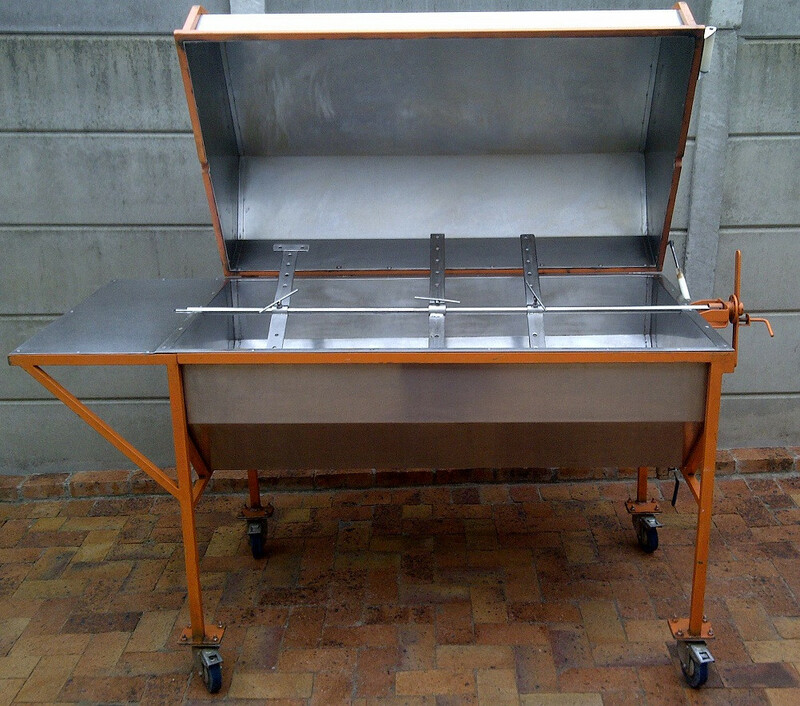 YES, you can also afford to have a Spitbraai function - Call us now for a FREE quote ! !